Night can be one of the finest of times on the water. The wind drops with the sun, the seas are light, the air is warm and scented, the Perseid meteor shower will soon streak the sky, and the lights in the big homes on the bluff are slowly being extinguished. It’s just you and your fishing partner and the quieting sounds as midnight approaches. With the Milky Way flaring overhead, it’s as close to heaven as I am likely to get on this blue planet. 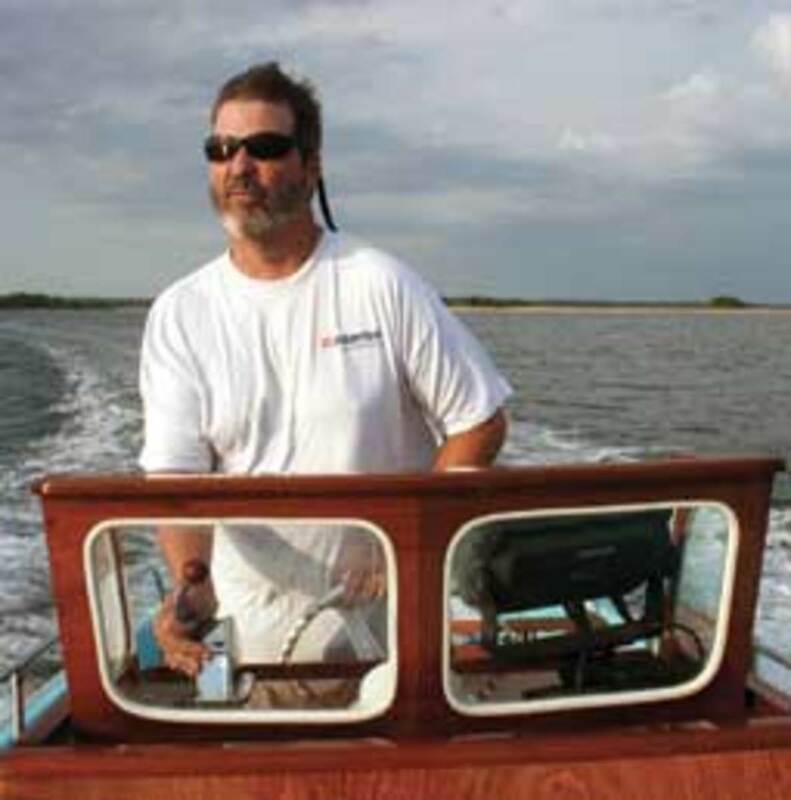 There was a period of 15 or more years when I spent far more time on the water after sunset than during daylight hours. 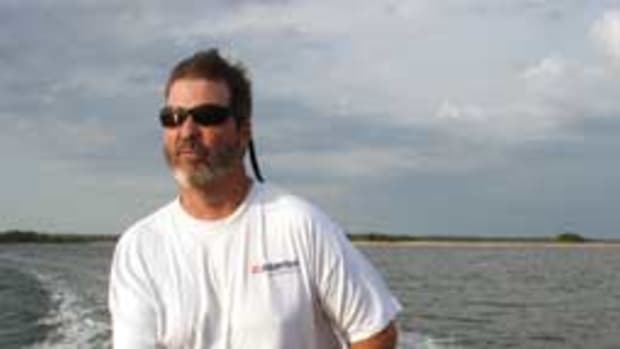 Back then, we fished like madmen for striped bass, which feed more actively after dark. We operated small, open boats in tidal rips and tight to lee shores, always in current, always around rocks and usually with more wind than we liked. We fished hard and late, but we fished safely. We took calculated risks. My fishing partners and I respected night and everything that went with it. And we always made it home in one piece and never had to fish anyone out of the drink. Night boating requires a higher level of experience, awareness and care than running around the bay at high noon. The recent tragic accident on the Hudson River in which a powerboat running at night hit a moored construction barge — killing two, including a bride to be — stands as a sad cautionary tale. Books have been written on the topic of night boating, but I will try to condense in the space here what I have learned from my years of fishing after dark. • We had a no-alcohol rule for night fishing and boating, and we maintained it. Anything that dulls your senses, impairs judgment or makes you sloppy has no place on a boat, especially after dark, when you need to be sharp. • When in doubt, slow down or, better yet, stop and work things out. Not sure where you are? Unsure whether those lights are on an approaching vessel or one moving away? Continuing to steam ahead while you scratch your head might only get you deeper into the weeds. • Expect the unexpected. When the sun disappears you’ll be surprised by dozens of things, including how few buoys and other objects are actually lit. Refer to your electronic or paper charts and lean heavily on your own recent local knowledge to keep you away from solid objects. You’ll also be surprised by the number of boats running at night without lights and how fast they travel. • Develop eyes in the back of your head. Stay vigilant. Look all around frequently. And have the discipline not to become so engrossed in a task — be it unhooking a fish or fiddling with your plotter — that you miss what’s happening around you. • Take note of spring freshets and inland flooding that can send logs and other debris into coastal waters. They’re tough to see, even with a good moon. When the debris gets particularly bad, don’t venture out after nightfall. • Learn to use all of your senses, especially your hearing and sense of smell. With your engines off you can hear boats without lights approaching or surf breaking on a shore, ledge, reef or in a rip. I remember trying to pick our way home on a particularly thick night when the pungent smell of a salt marsh alerted me that we had ventured too close to shore too soon. • Learn to decipher the lights of boats and ships near and far. What am I looking at exactly, what direction is it headed and roughly how fast? Is it a tug with a barge in tow? A barge being pushed? Freighter? Fast ferry? Submarine? Knucklehead? • Things look different after dark. Familiar daytime waters can appear bewilderingly different on a moonless night. Where is that creek mouth? You need to commit to memory silhouetted shore profiles and landmarks, and key shore lights and nav aids. • Background light is a challenge in a multitude of places along the coast. Boats and immovable objects (an abandoned pier, jetty or groin, for example) easily hide in the confusing jumble of harbor lights. When in doubt, don’t wander out of the channel. • Know your electronics inside and out, and don’t be afraid to rely on them. Your eyes can play tricks on you, especially when you’re searching hard for something and you’re tired. You want that light to be such-and-such so badly that you convince yourself you’ve got it, even when you’re wrong. It’s easy to get turned around or disoriented. Settle down. Look at your plotter. Check your water depth. Determine your position. Measure twice, cut once.